Nathaniel West | The Chamber Music Society of Lincoln Center. 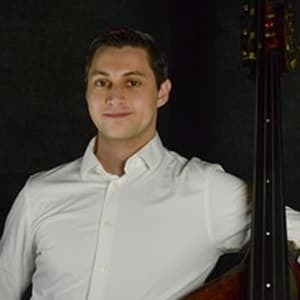 Nathaniel West is a recent graduate of the Curtis Institute of Music in Philadelphia, where he studied with Philadelphia Orchestra Principal Bass Harold Robinson and Edgar Meyer. As a “Presidential Scholar in the Arts” and finalist in the National Foundation for the Advancement in the Arts YoungArts program, Mr. West performed at the Kennedy Center in Washington, D.C., in 2009. He has also soloed with both the New Albany Symphony and the Curtis Institute 20/21 ensemble. As a chamber musician, he has performed regularly with the quintet Ensemble39 in Philadelphia and the Jupiter Chamber Players in New York, and he spent three summers at the Marlboro Music Festival in Vermont.